Whether you’re packed in like sardines in a subway or stretched out on a white sandy beach, self-care is important. For some people, that includes yoga. In a city with Hippie roots like Seattle, you know there will be some top yoga options. 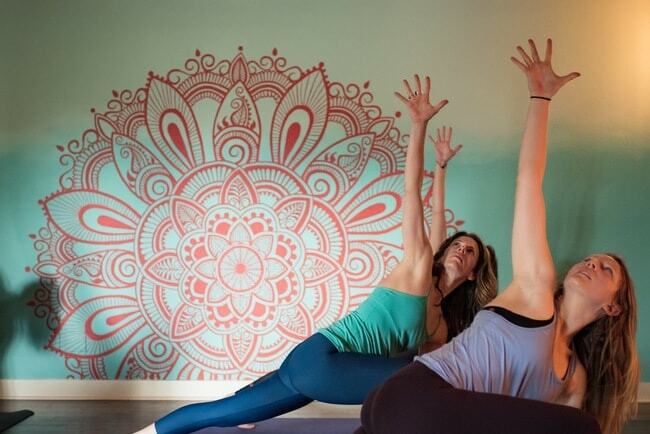 On that note, here are the best yoga studios in the Emerald City. This yoga studio blends Kripalu, Anusara, Iyenger, and Sivananda, focusing on opening the heart as well as the wisdom and safety in body alignment. It offers events, workshops, and classes with an intentionally limited class size. Providing yoga and meditation in an inclusive environment, regardless of body type, age, and fitness levels, InsideOut strives for self-discovery and satisfaction in the context of acceptance and community. Classes are offered in many variations, including for couples, children, and private. Started in 1980, The Center for Yoga of Seattle is considered one of the leading Iyengar Style Hatha Yoga centers in the nation. The studio focuses on a balance of flexibility, strength, stamina, concentration, will power, and relaxation from a perspective of precision. This particular yoga style is accessible to all body types, ages, and limitations. Other than typical yoga classes, The Center offers three to nine week yoga courses and teacher training courses, with levels for both beginners and learned yogis. As a local, family-owned business, Breathe Hot Yoga nurtures a true sense of community. Instructors cater to each individual, personalizing each path. With zone-heated rooms, instructors can lead students to warmer or cooler spots in each space. Other than workshops and teacher training, Breathe offers classes for Power Vinyasa, Yin, Bikram, Hot Pilates, and their own Breathe Yoga series. Breathe has three locations: Belltown, Capitol Hill, and West Seattle. 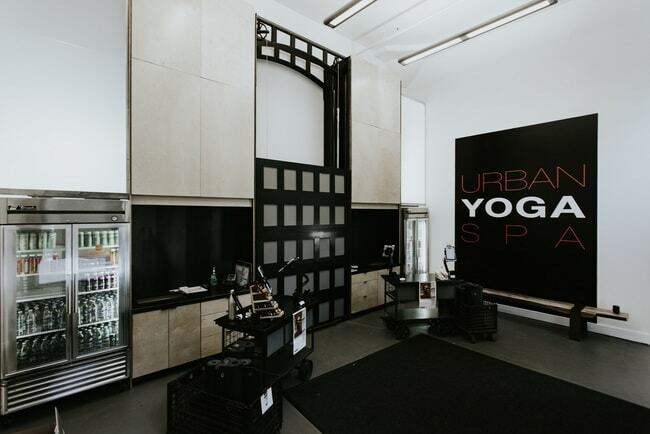 Urban Yoga Spa (UYS) is, well, exactly what it sounds like: a yoga studio and spa in an urban location. In downtown Seattle, UYS offers hot yoga, massage, manicures and pedicures, waxing, and reiki. The yoga is practiced “hot” to facilitate flexibility, increase the cardiovascular workout and improve circulation. The entire experience from yoga to spa is intended for self-improvement, allowing patrons to rid themselves of personal obstacles from the physical aspects of excess weight to the mental factors of stress, anger, and fear. The Grinning Yogi, with two Seattle locations, is a Vinyasa Yoga studio with a community-based mindset. With the intent of providing accessible and affordable yoga, all levels (including teacher training) are welcomed to the studios, each lightly heated to no more than 85 degrees Fahrenheit. Karma community classes, from which all proceeds are donated to local charities, are offered regularly. The Grinning Yogi believes that self-care (and a smile) should be considered a necessity, not a luxury. This is the studio to visit for an energetic sweat session in which to have fun and connect with others. Striving to inspire students through yoga and meditation, Be Luminous Yoga has options for all levels, including classes, workshops, retreats, teacher training, and philosophical study. Providing a non-competitive environment, the studio offers Power Flow, Slow Flow, and Restorative Yoga. Power Flow is a more physically challenging class, practiced in a room up to 90 degrees Fahrenheit. Slow Flow is practiced at room temperature and at a slower pace to allow refinement of poses. Restorative Yoga consists of less poses, each held for longer durations. Meditation is offered in yoga classes as well as in workshops and series. Striving to promote healthy, balanced lives, Shakti Vinyasa Yoga was opened in 2003 as one of the first Baptiste affiliated studios in the world. Baron Baptiste’s style of yoga combines strength, sweat, and spirituality and is practiced at no more than 98 degrees Fahrenheit. Founded by Lisa Black, who studied yoga internationally in India and Mexico (under Baron Baptiste), the studio offers Baptiste Power Vinyasa Yoga, creative flow vinyasa, Prana Flow, workshops, retreats and teacher training — especially in Baptiste’s methods. With four locations in Seattle, 8 Limbs Yoga seeks to work with the community, adapting each studio to its neighborhood’s needs. All studios provide supportive, inclusive, non-competitive atmospheres in which to practice Hatha Yoga, Pre and Postnatal Yoga, Kids, Tween, & Family Yoga, Back Care, and Yoga for ages 50 and above. The name of the studio comes from the eight aspects of yoga, two of which, Asana (poses) and Pranayama (breath), are practiced in most classes. Options to practice the other six aspects of yoga are also offered. 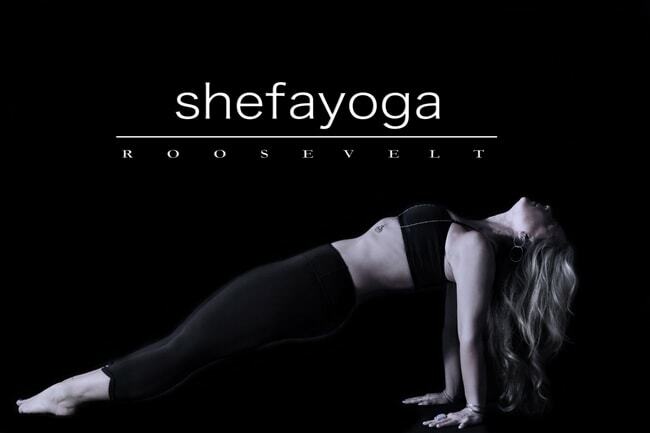 Named after the translation for, depending on the language, abundance, to heal, or divine light and flow, shefayoga is appropriate for all levels. Classes offered include Hot Hatha at 100 degrees Fahrenheit, Power Vinyasa and Restorative Yoga, both at 90 degrees Fahrenheit, and Yin. In addition to classes, events and teacher training are also provided. The studio itself boasts infrared heating, a cushioned hardwood floor, and natural light. 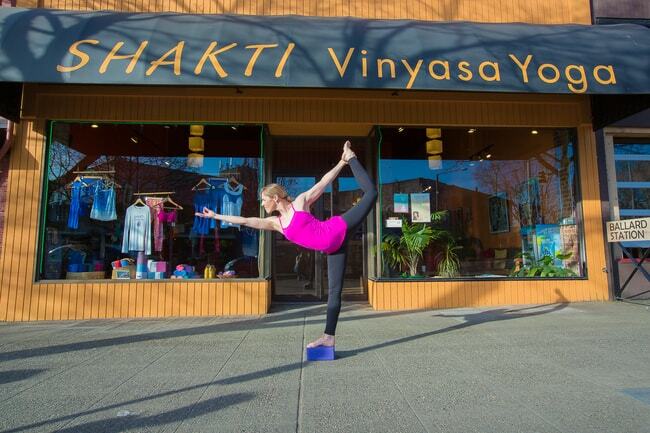 Their sister location, Hauteyoga, is located in Queen Anne. This power Vinyasa studio is only five years old and still finds itself on multiple lists for the best yoga studios in Seattle. Striving to help students to balance and connect with self to in turn do the same with the life around them, instructors at Sol Yoga make sure yoga experiences are personalized to best suit individual needs. Offered classes comprise Sol Vinyasa, Slow Flow, Restore, Yogahiit, Vinyasa 1+, and Vinyasa 2+.